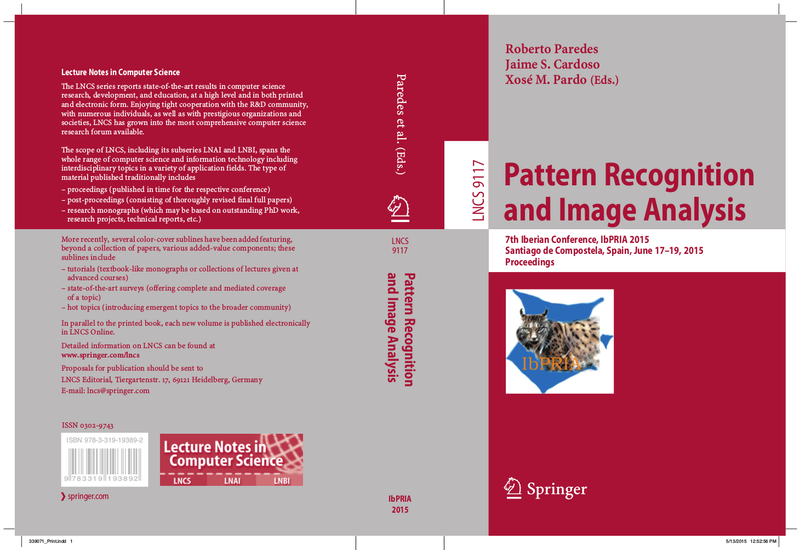 The seventh edition of the Iberian Conference on Pattern Recognition and Image Analysis, IbPRIA 2015, will be held in Santiago de Compostela (Spain), June 17-19, 2015. All accepted papers will appear in the conference proceedings, and will be published in Springer Lecture Notes in Computer Science Series, Springer LNCS9117. A copy of the proceedings will be distributed to all participants at the Conference. June 22: IbPRIA 2015 in photographs. June 16: Invited Talk by Dr. Jesús Malo moves from Friday to Thursday. Friday talk is cancelled. June 10: Praza Obradoiro Meeting Point for social events. June 4: The Conference Dinner will be at Hostal dos Reis Católicos at Obradoiro Square. March 24: List of accepted demos. Feb. 27: Preliminary technical program and instructions for authors. Feb. 19: Registration is open.